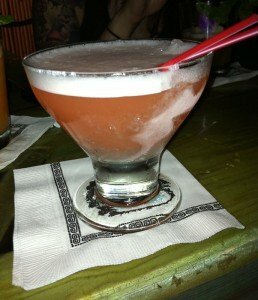 Cocktail review: What makes the Mai-Kai Special? In cocktail bars these days, every effort is made to let the customer know what their drink contains. And this is a good thing. Especially when we’re guaranteed “hand-crafted cocktails made with fresh squeezed fruit,” as we just discovered on the menu for the new Longboards restaurant in downtown West Palm Beach. Longboards goes even further, spelling out every ingredient (and their exact measurements). See the menu here. Now, we suspect that part of the reason for this is to give the inexperienced bartenders easy-to-find directions on how to make the cocktails. But no matter. As long as it raises the bar for quality tropical drinks, we’re all for it. The Mai-Kai, on the other hand, is a throwback. Not a throwback to the dark days of cocktails when ham-fisted bartenders used artificial ingredients to create abominations that gave tropical drinks a black eye. But a throwback to the golden age of Tiki, when cocktail pioneers such as Don the Beachcomber and Trader Vic created complex, iconic drinks that were so over-the-top delicious that the recipes became closely guarded secrets. They’re made behind closed doors, in back bars away from public view. And even the bartenders preparing the drinks aren’t completely aware of every ingredient. Proprietary mixes and syrups with cryptic names and numbers are common. 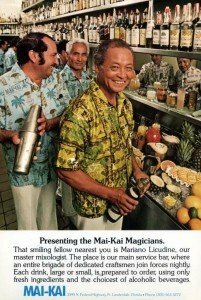 So it’s frustrating for contemporary drinkers to gaze upon the Mai-Kai cocktail menu, which is virtually unchanged since 1956, and not have a clue what most of the drinks are all about. 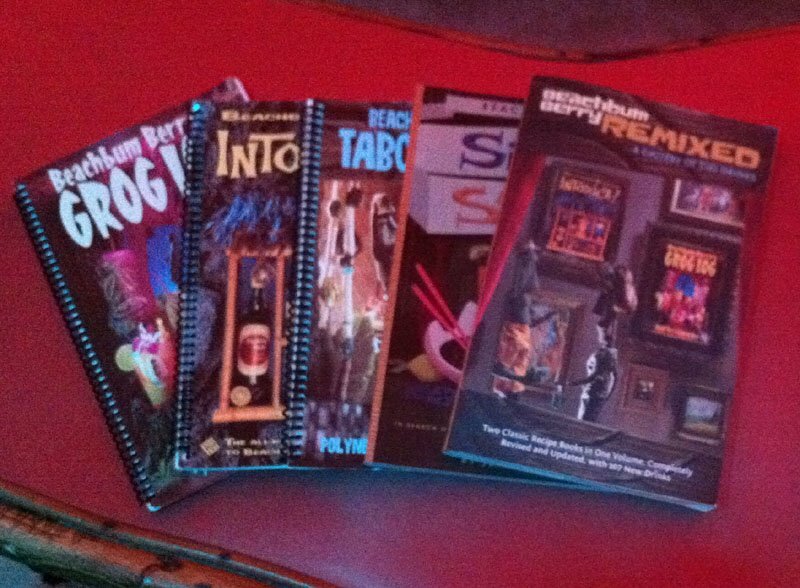 Fortunately, The Atomic Grog has taken on the challenge to review all of these classics and give you some guidance. As stated in our overview to this cocktail guide, we plan to post the six recipes that have been published and/or verified as official Mai-Kai recipes. Our first three reviews fell into this category, and we’ll be posting more of these in the coming months. We’ll also feature official recipes for three drinks that are no longer on the menu. Then there are the many drinks that are direct descendants of Donn Beach classics. Original Mai-Kai mixologist Mariano Licudine spent 16 years at the Don the Beachcomber restaurant in Chicago and reconfigured many of those drinks for The Mai-Kai. Recipes (and names) were tweaked. The Pearl Diver became the Deep Sea Diver. The Test Pilot became the Jet Pilot. We count at least 25 Mai-Kai drinks that owe their beginnings to Don the Beachcomber. Beachbum Berry's five cocktail guides are the tropical drink mixologist's go-to resource. Fortunately, tropical drink historian, researcher and author Jeff “Beachbum” Berry has unearthed many of these Don the Beachcomber recipes and also has deciphered the secret codes that led to the discovery of many long-forgotten classics such as the original Zombie. We’ll share many of his discoveries to give you some background about where the Mai-Kai cocktails came from. Then there are the Mai-Kai originals that are total mysteries. We’re left to figure these out on our own. We have mixed feelings about this. Our intention is not to decode all the Mai-Kai cocktails. We have too much respect for the mystery and aura that surrounds them. And, frankly, we’re not very good at reverse engineering cocktails. 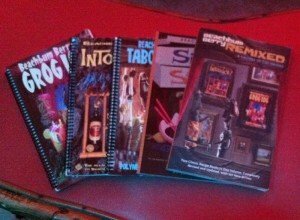 However, we’d like to help our fellow Tikiphiles and home bartenders along the road to appreciating these classics and also sort through the many “tribute” drinks that are already out there in the public domain. The Tiki Central message board is loaded with discussion on Mai-Kai drinks, its members attempting to figure out exactly what goes into the Black Magic, the Shrunken Skull, the Cobra Kiss. This week’s review, the Mai-Kai Special, falls into the latter category. No official recipes are known to exist for this Mariano Licudine original. But with the help of our friends on Tiki Central, we’ve come up with a fine tribute to this 55-year-old classic. Cool, light and refreshing, laced with fresh pineapple juice. Our mixologist’s favorite. The Mai-Kai Special, June 2011 (photo by Hurricane Hayward). Review: A unique, frothy concoction that seamlessly combines banana and sweet guava flavors with just a slight rum kick. Ancestry: Another Mai-Kai original created by mixologist Mariano Licudine that dates back to the original 1956 cocktail menu. Mai-Kai Special tribute by The Atomic Grog, July 2011 (photo by Hurricane Hayward). Blend at high speed in a top-down mixer for up to 15 seconds, or until frothy. Pour into a frozen specialty glass. * Thanks to everyone who contributed ideas on Tiki Central, especially Chip and Andy. * In lieu of The Mai-Kai’s “secret red sauce,” we’re using a 2:1 combination of pomegrantate grenadine and passion fruit syrup. * A drink mixer is crucial in achieving the rich texture that defines most Mai-Kai blended cocktails. It aerates the cocktail and makes it frothier. The same effect cannot be achieved with a standard blender. More on this in future reviews. This entry was posted in Cocktail reviews, Cocktails, Cocktails, Culture, History, History, Mai-Kai, Recipes, Rum and tagged Beachbum Berry, Don The Beachcomber, Mai-Kai, Mariano Licudine, recipe, rum, Tiki Central. Bookmark the permalink. 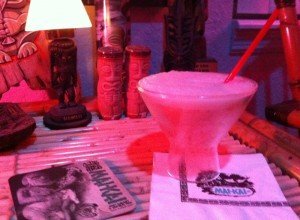 1 Response to Cocktail review: What makes the Mai-Kai Special? This one is sweet but oh so delicious! !